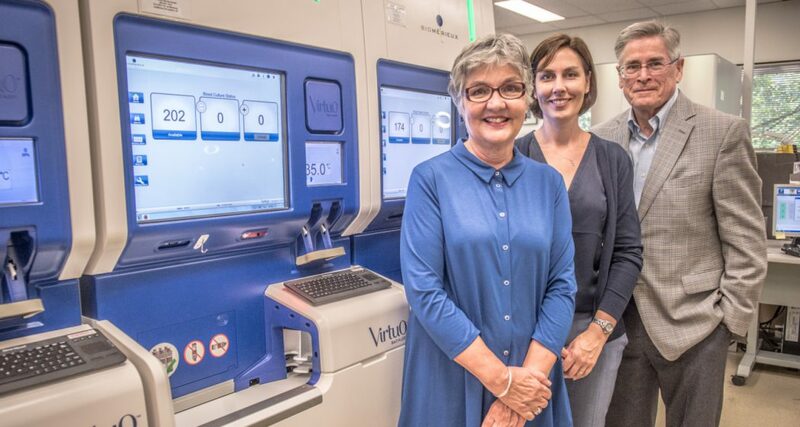 Barbara and Mark Cullen, with their daughter Lesley Jackson, pictured at St. Paul’s Microbiology Laboratory, beside the blood culture analyzer (BACT/ALERT® VIRTUO™) that they funded. The instrument automates blood cultures and allows for the rapid detection of pathogens (e.g., bacteria) in patients with sepsis. At first glance, there seems little in common between a serene garden for seniors at St. Vincent’s: Brock Fahrni residence, a fibre-optic salivary endoscope at Holy Family Hospital, or a blood gas analyzer in the St. Paul’s pathology lab. 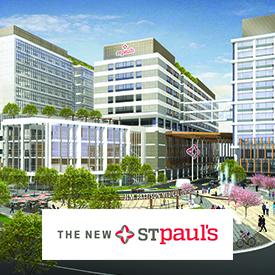 But these gifts, along with many others donated by the Cullen family over their 30-year relationship with St. Paul’s and former Tapestry foundations, do share a fundamental connection: they have all made a profound impact on the real, day-to-day experience of patients and residents across every Providence Health Care (PHC) site. “We’ve become, in a small way, partners with St. Paul’s,” says Mark Cullen, whose long friendship with the organization began in 1988, when the late Terry Heenan, then a client of Mark’s at RBC Dominion Securities and chair of the hospital’s board, recommended he join the board too. 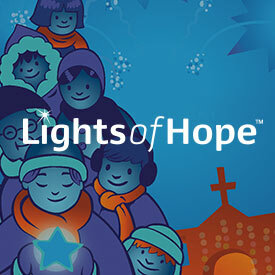 Mark’s wife, Barbara, soon began volunteering as well, helping to develop a new patient relations program. Today the couple, along with their daughter, Lesley, meet regularly with hospital and foundation staff to uncover areas of greatest need. (Their son, John, lives in Toronto but takes part when he can.) “It’s something we look forward to,” says Barbara. “It’s a very collaborative process.” While the Cullens have funded major research and infrastructure projects, their focus is on donating equipment, from high-tech to low, that immediately improves the comfort and treatment of patients and residents. For example, a project to renovate the tub facilities in all of PHC’s residential care sites may not have been exciting, says Mark, but it made a real impact on the lives of resident seniors. “The Cullens have touched all of our lives and supported every corner of our lab,” says Janice Bittante, manager of laboratory operations for St. Paul’s. The 2014 gift of an innovative mass spectrometer, for example, reduced the time it takes to identify the bacteria in patients with infections from up to 48 hours to less than five minutes. The recent donation of a SealSafe system improved the way the pathology team processes tissue samples, and new “Cellavision” digital microscope software has propelled the lab’s ability to quickly diagnose conditions like leukemia or anemia.